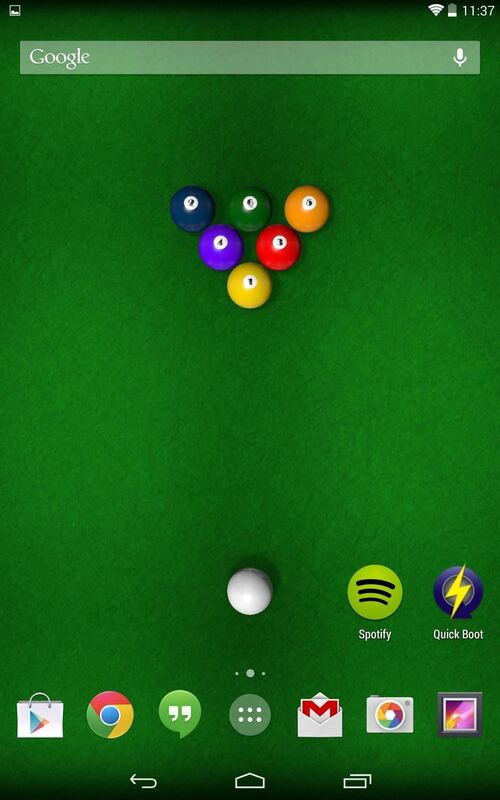 KF Billiards from Kittehface Software isn't just any pool game, it's a live wallpaper that lets you play pool directly on your home screen. It's the fastest way to kill your momentary boredom, because you don't even have to open an app to play. 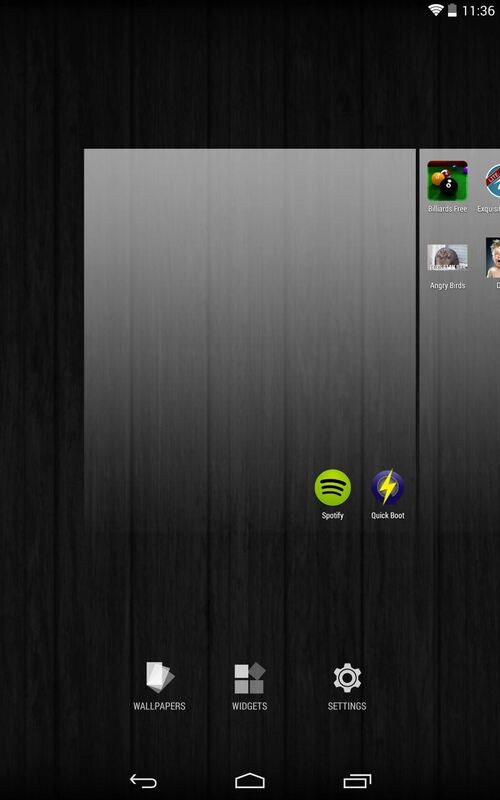 With KF Billiards installed, hold down on your home screen and select Wallpapers. 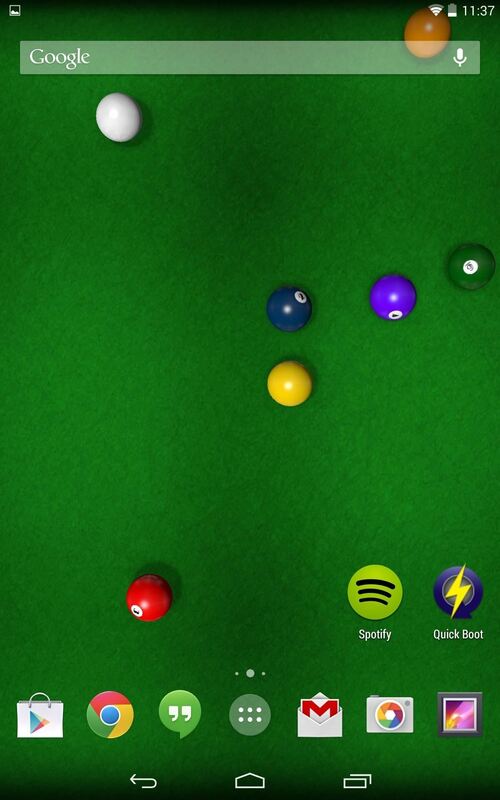 Next, scroll until you see Billiards Free and select it, then hit Set wallpaper. There are no settings to mess with in the free version, so once it's applied, you're all set. Swipe through the cue ball in the direction of your shot to begin playing, and double-tap on any home screen to re-rack the table. The game also works well in landscape mode. 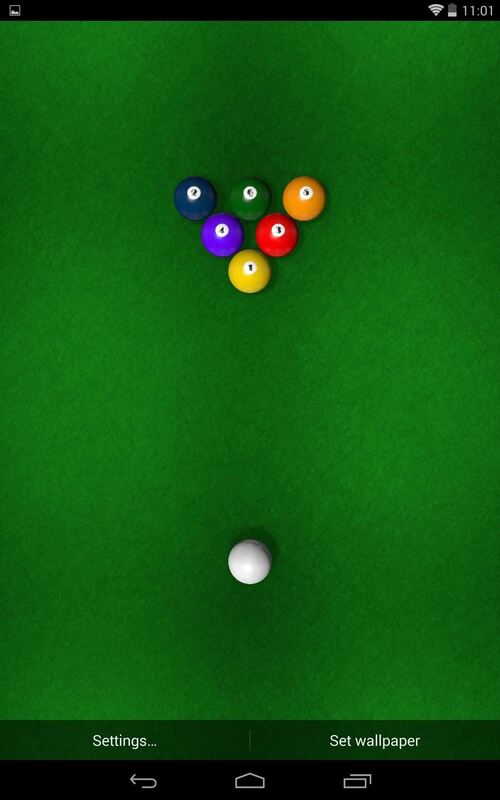 The free version is restricted to a game of six ball, but you can unlock all the features of the paid version—table colors, game layouts, device specific physics, and more—for $0.99.